My goodness… Sometimes I love the prompts, sometimes no. Today, it was “sick day.” Now, I’ve done sick day LOs. I did my mom sick. I’ve done me sick. I’ve done my son taking his allergy meds in the bathtub. And, honestly, I did more than one December Daily page of me sick. I’m not really feeling sick. 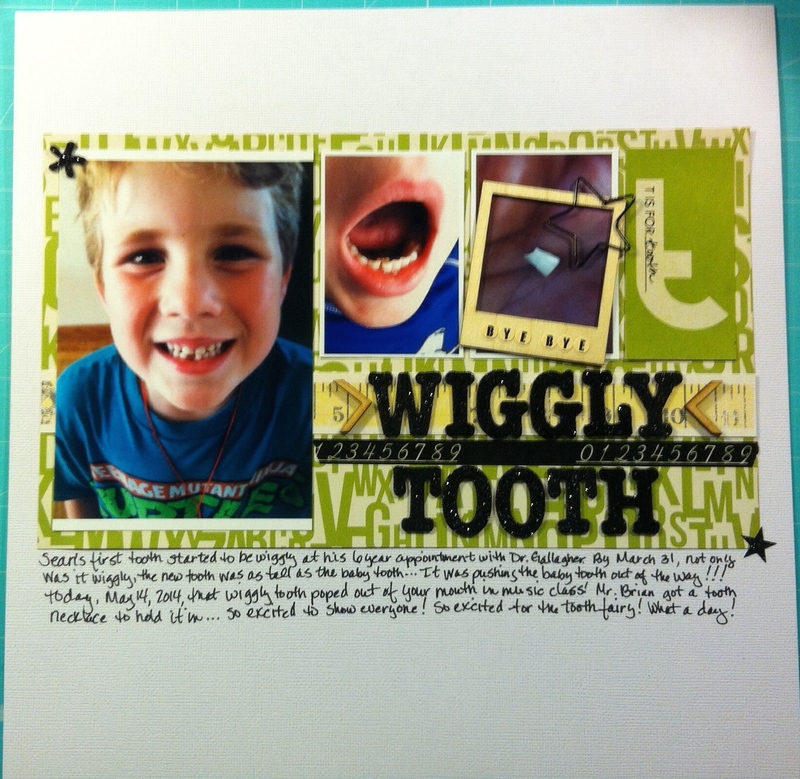 So, bye-bye sick day, hello wiggly tooth! May 14, 2014 my son lost his first tooth. It has been “wiggly” for almost 6 weeks. The big boy tooth was already as tall as his baby teeth, just in the back, waiting to push that baby tooth out of the way. I tell you… I have no idea where my boy is. I look at these pictures from yesterday, and I don’t see my baby anymore. I see this grown up kid with grown up teeth. I remember when he stopped being a baby. I remember when he stopped being a toddler. Now, he is no longer a preschooler. He will be in the first grade in the fall, complete with grown up teeth, and wearing a size 8 pants. Damn. I’m really not ready for this. I’m really not. 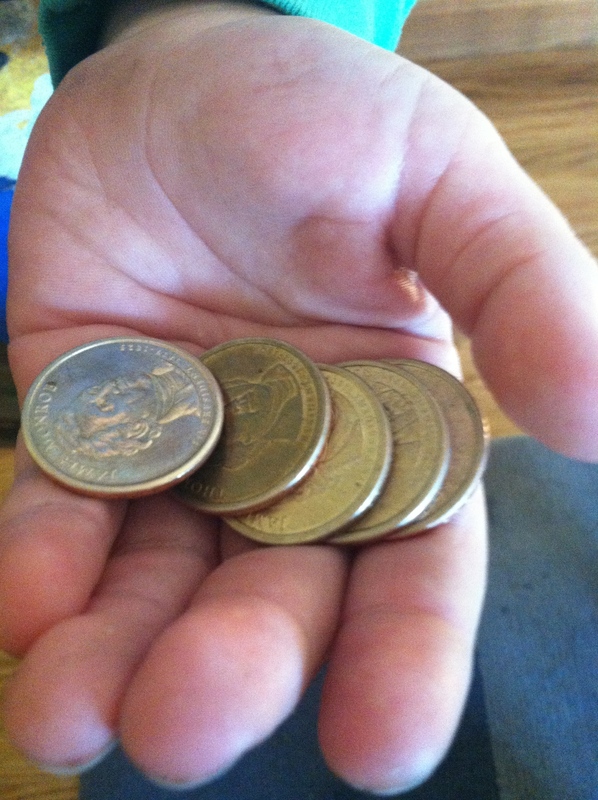 For those who are interested… Here is what the tooth fairy left for Sean last night. I think he was happy.